The University of Mississippi provides trash collection dumpsters on campus. These dumpsters are for the University of Mississippi community's use and are only to be used for the disposal of campus generated material. The disposal of private household waste anywhere on the University of Mississippi campus is prohibited. Due to the unknown contents of a trash container and the associated potential safety hazards, it is prohibited on campus for individuals to enter or remove items from dumpsters or other trash receptacles. The days when practically anything could be sent to the landfill are long since passed. If you have any questions about what items are permitted to go into a dumpster, accidentally discard an item into a dumpster, or if you wish to report hazardous material(s) improperly placed into a dumpster or campus trash receptacle, please contact Landscape Services at (662)915-1846. Place items inside dumpster, do not stack items outside dumpster, the dumpster can not be emptied if items are stacked or blocking the dumpster. Broken glass should be placed in a cardboard box, taped shut, and marked as broken glass prior to its placement in the trash dumpster. If you are unsure how to properly dispose of your campus waste contact Health and Safety or Landscape Services Department. 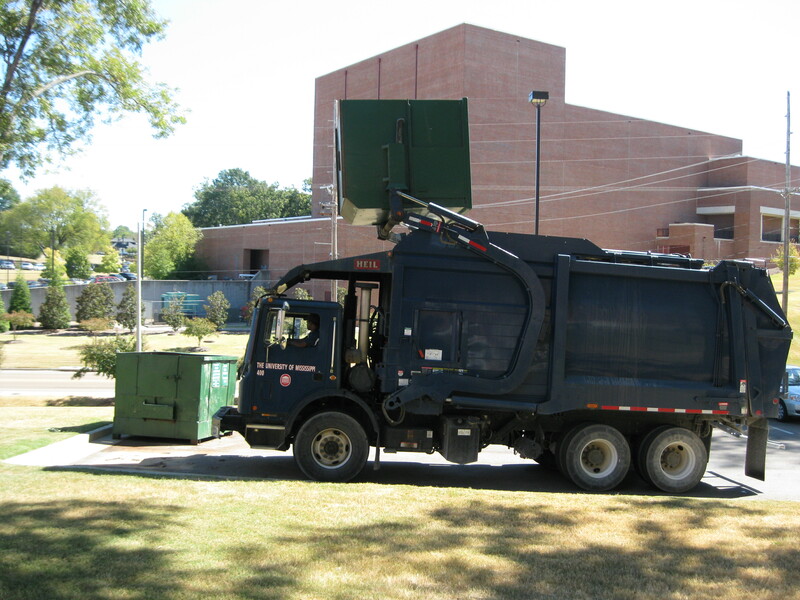 If you need a dumpster serviced call Campus Dispatch (662)915-7087 or Landscape Services (662)915-1846. Don't climb on a dumpster for any reason. Don't park in front of a dumpster. Any biohazardous, radioactive, hazardous, regulated medical waste. You may contact Health and Safety for proper disposal. Any University of Mississippi items containing a property sticker, contact Procurement Services. Any appliances- including but not limited to refrigerators, freezers, air conditioners, stoves, ovens, grills and dehumidifiers. 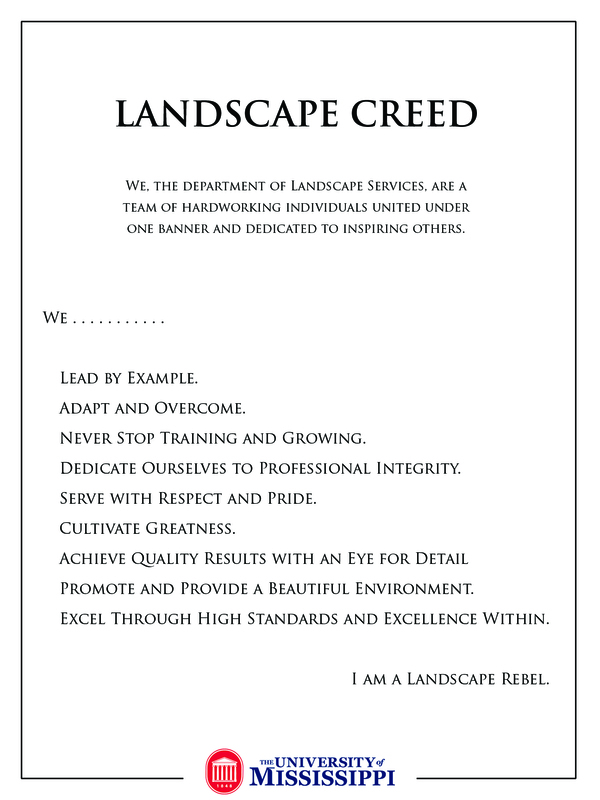 Contact Landscape Services, (662)915-1846. Cell phone batteries, rechargeable batteries, contact Health and Safety. Automobile batteries, tires, motor oil, contact Physical Plant Service Station (662)915-7304. Paint, rollers, buckets, spray cans, contact Health and Safety. Any aerosol can containing materials, contact Health and Safety. Smoke detectors, contact Health and Safety. Construction dumpster should be set on a hard paved surface as to not damage landscaping or turf areas and not to obstruct traffic or emergency services. 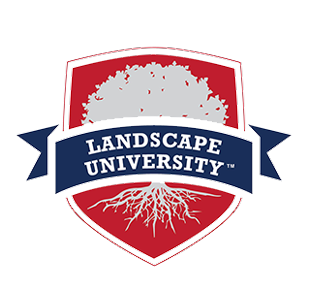 The placement of the construction dumpster shall be approved by Landscape Services and the Campus Fire Marshal. The department that would like their own construction dumpster is responsible for ordering the dumpster and paying the invoice for that dumpster. Please contact Team Waste for requesting a dumpster and any information regarding your invoice. Physical Plant Department offers paper shredder services for campus departments needing sensitive papers shredded. Please send a SAP work order to Physical Plant Department or call at 662-915-7051. They are the only distributor for Victor Stanley products. It takes at least 3 months for shipping.